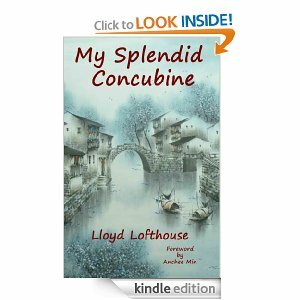 Lloyd Lofthouse, the highly successful author of My Splendid Concubine , recently asked me to follow him in The Next Big Thing, an author’s Blog Hop. In this authors invite another five authors to follow them from blog to blog something in the manner of a chain letter. But much more fun! And no one is going to get some dire bad luck or the tax man after them if they don’t follow on with the chain. So I accepted and the ball is rolling nicely. The book was published in 2009 and is already an winner of several prestigious awards. There are many such reviews with nothing but praise for this book. Lloyd has since published Our Hart (an elegy for a concubine which has also been just as well received. How The Next Best Thing Blog hop works: an author answers ten questions and then tags five authors to do the same thing the following week on the same day, which in this case is a Wednesday. This assumes that each author that agrees to continue the Blog Hop knows five other authors and so on. 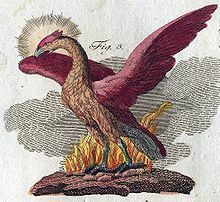 The Phoenix was a fabled bird that lived for a long cycle. When the time came for it to die, it self-immolated in an inner fire and from the ashes came forth a new bird. It was associated with the sun and its long cycles and eclipses. Later on, it became a symbol adopted by the early Christians who saw it as a symbol of Jesus and his resurrection. The colour purple is said to be connected with the precious purple dye traded by the Phoenicians. It has always been considered a colour to be worn by royalty or the church. The reason for calling the book The Dying Phoneix is because this symbol was adopted by the Military Junta who took Greece over in April 1967. They believed they were about to renew Greece, bring the country back to morality and proper Hellenic culture. 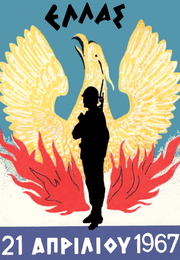 But in the opinion of many, the phoenix never rose from its immolation again during the seven year rule of the Junta. 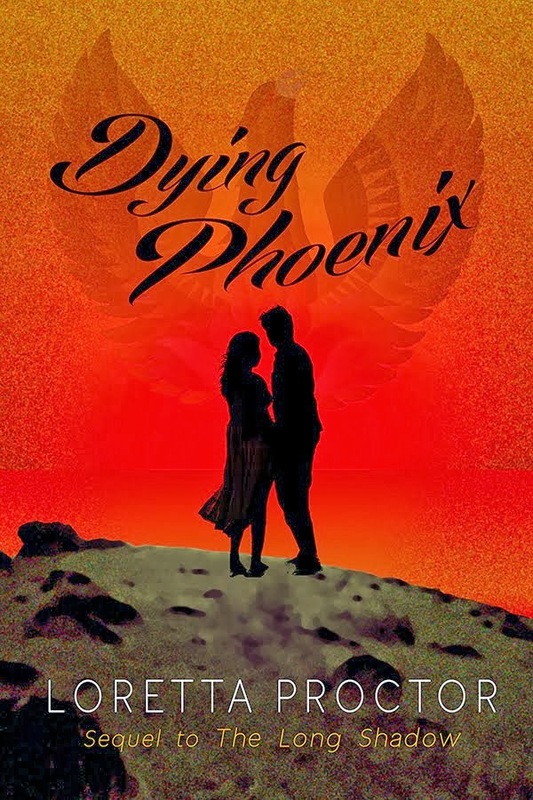 Dying Phoenix is a sequel to my first book, published seven years ago, called The Long Shadow. That story was set in Greece in WW1 and later in the 1930’s and charts the love affair of Andrew's mother Dorothy with a Greek officer during the war and the consequences thereof. Andrew later goes in search of his roots and his identity in Greece and his life is changed by his encounters there.. The story takes place mainly in Greece but also in England. 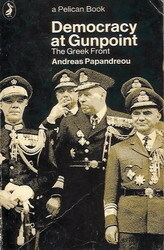 The saga progresses to the next generation and how they are caught up in the rise of the three Colonels and their opressive right wing dictatorship which tolerated and actively eliminated anyone who varied from their policies. Again, most of the action takes place in Greece but a great deal also happens in England. I have had my books described as 'Intelligent Historical fiction' which is nice. They also caome under Historical Romance but not of the bodice ripping genre! These stories are about love relationships and the complex and problematic feelings between the protagonists as much as the historical background. Often an author has a distinct picture of an actor who might play the parts of hero and heroine (we're always hopeful, you see!) My heroine, Nina, is a feisty young woman but she needs to look Greek as her father is Anglo Greek and her mother fully Greek. My favourite contender is Marissa Triandafyllidou pictured left. Who will play Max Hammett her husband? He is very English, fair. I love him. 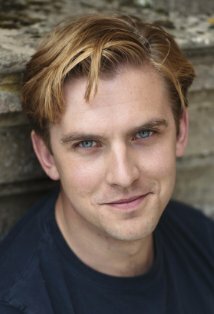 Well, it has to be Dan Stevens..who else? Rumour has it he's trying to escape Downton Abbey, anyway. Max and Nina Hammett flee from the emotional problems of their unhappy marriage only to become deeply involved in the turmoils and dangers of a tyrannical Greek dictatorship. So far I've no idea. I shall wait and see. It's been slower than usual as it’s a complex historical time I'm describing and still in living memory. I needed to go back to Greece and talk to people about it - which I did in October 2012. The publication of Middle Watch took up a lot of time as well this year. Marketing is very time consuming. So it’s taken me about 10 months and I’ve still about another four chapters to write. But it’s my New Year resolution to finish it by February. I notice that Vivian Hislop keeps pinching my ideas about Greek novels and has written one set in Thessaloniki…which is where The Long Shadow is set. I joke, of course, she is a great writer and I’d like to say my writing is something along those lines. I’m hoping she won’t beat me to it with one about the Colonels as well. But if she does, well that’s life. Louis de Berniere would be the other one who writes serious romances set in Greece so perhaps I can compare myself to him as well..
I’m Anglo Greek and really find that writing a story set in Greece is what I enjoy most. I have tried other locations such as Victorian London which also fascinates me. And Middle Watch is set amongst the lighthouses of Britain which was also a great adventure to write about and research. But I really get into the Greek scene and people; they are after all in my genes - as one Greek lady remarked. Greece is a hot topic and I'm hoping that people will see how cyclical situations can be. The current problems are echoes of the past. I hope that the philosophy behind my story will appeal to readers and also the scenes set in mainland Greece. So many people only meet Greece and the Greeks through the islands. That's not really engaging with Greece. It's like judging the British from a visit to the Orkneys, or the Isle of Wight. How about the contrasts of London and Newcastle? And in Greece there is contrast indeed between Athens and the northern city of Thessaloniki. Gordon Thomas author of The Harpist of Madrid is now retired and lives with his wife in Surrey. He worked in the Home Office as a scientist and administrator. Latterly his responsibilities were in security technology. He is currently chairman of the International Carnahan Conference on Security Technology. The Harpist of Madrid is his debut novel and he has just finished a sequel called Esmeralda. M Howard Morgan, author of First Fleet travelled extensively throughout Europe, the Far East, Oceania and N. America. An interest in genealogy resulted in the discovery of an ancestor who was a marine with the First Fleet of Australia in 1788. This triggered an investigation into the history of the Golden Age of Sail and tangentially, the conflicts with Revolutionary and Napoleonic France. First Fleet is a debut novel with a sequel now in progress set in 1794 and the first major naval engagement between the two; The Glorious First of June. the first novel in a trilogy set in early Rome. L .J. Hippler’s writing style has been most influenced by Anton Chekov, and Laura Lippman. Hippler's premier novel, Cathedral Street, is set in Baltimore. Three brothers find they are joined forever by the secrets of a painful family past. His latest novel, The New Road, is also set there. I have read all these books and assure you they are all very well written, completely diverse in subject. These are all exceptional authors and well worth reading. No excuses not to buy or download their books...they will make a great Christmas read or wonderful and much appreciated presents. Elizabet, do forgive my not replying. I've been so busy I haven't blogged in ages1 Thanks so much for your lovely comments and I hope you enjoy my new blog. I would love to be in touch, your book also sound interesting. You can find my email on my website if you would like to write.